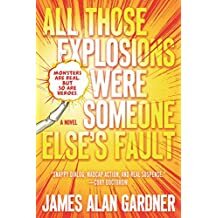 All Those Explosions Were Someone Else’s Fault was an hilarious read with a complicated protagonist who happens to turn into a superhero. Garner manages to work his way through all the superhero tropes in one book, while crafting a fast-paced story full of science and pseudo-science and alternate reality. My one criticism of the book (if you can call it that) is that it reminds me of the Da Vinci Code in that nobody ever sleeps. But if you were going to turn into a superhero, wouldn’t Not Needing to Sleep-Ever- be an awesome super power? My Matt is always looking for a new read, so I put this on reserve at the library, sounds fun! 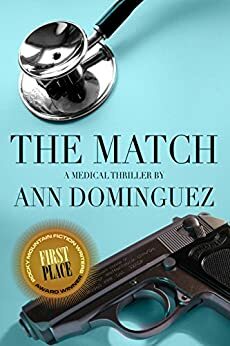 Christine, I don’t know if it matters to him, but the main character is a young woman who has some ambiguous feelings about her gender and talks about those throughout the book. I thought it was well-done, but different readers have different comfort levels with gender identity issues.